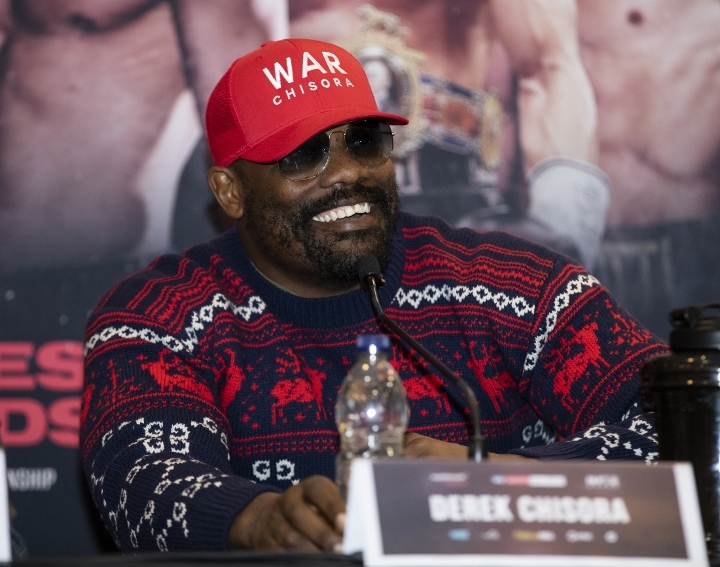 "Usyk will be a nightmare for everybody,” said Chisora. "The moment he puts his weight on, he will be a nightmare. He has the punching power and the boxing skills, his movement will kill most Heavyweights. I think to win with that guy you might have to foul him a little bit, a couple of low blows!" "Is he holding hand luggage or a massive suitcase of money? I love fighting - whoever wants it can have it. We do the deal, we sign, we get ready for it, we fight. Parker or I might go to watch Usyk - I don't mind having some of that. I just want to fight. Most people are scared of fighting but, if I could fight every week, I would do." [QUOTE=kidaguilar;19661695]Put some respect on his name you crackhoe. [/QUOTE] No respect for Mexicans beef eaters like salido, who is a proven ped cheat. Not to mention the fouls inside the ring and on the scale... Cheaters in boxing are criminals.